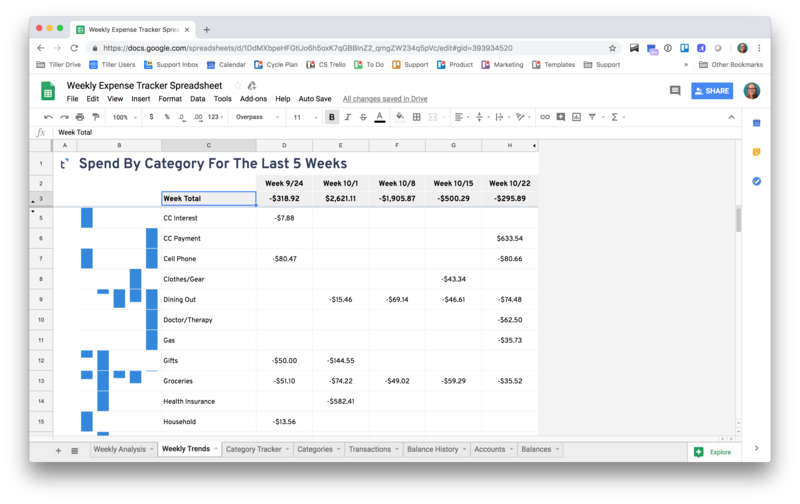 The Weekly Expense Tracker gives you insights about your spending from a weekly view through an automated feed of your bank data and a few simple reporting sheets. Overwrite or delete the example categories. Add new categories to the bottom of the list. All categories must have a group and type assigned. Categorize as many or as few transactions as you’d like to fuel the Weekly Expense Tracker reporting sheets. The more you categorize, the more insights you’ll gain. Use AutoCat to help you automate your Category workflows. 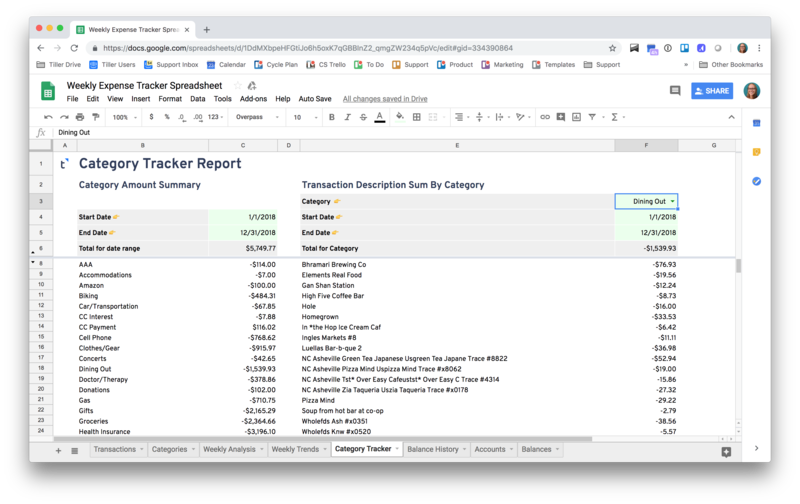 Once you've spent time categorizing transactions you can start tracking your money using the reports in the Weekly Expense Tracker. A view of your spending for a selected category over a chosen period of time. It also provides a handy average of your spending over that time period. 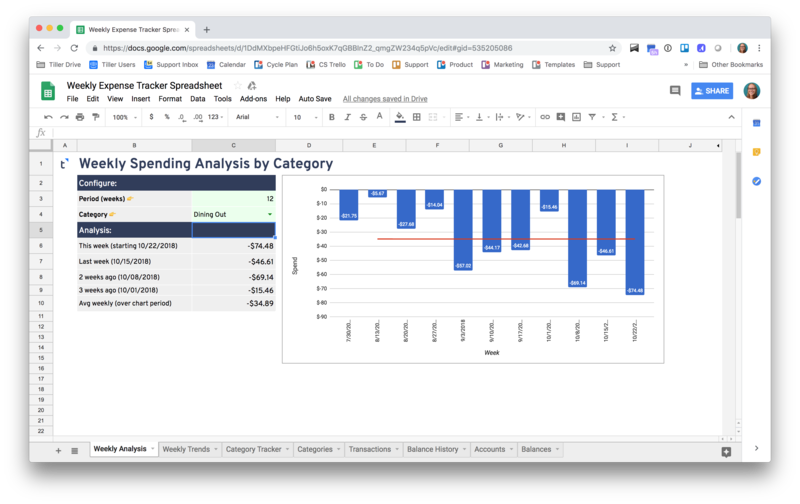 See your spending for all categories over the past five weeks and a glimpse at the relative trends within each category. Dig deeper into your spending for a selected category by reviewing the Transaction details over a configurable time period. See the sum of spending for all categories for a given date range.